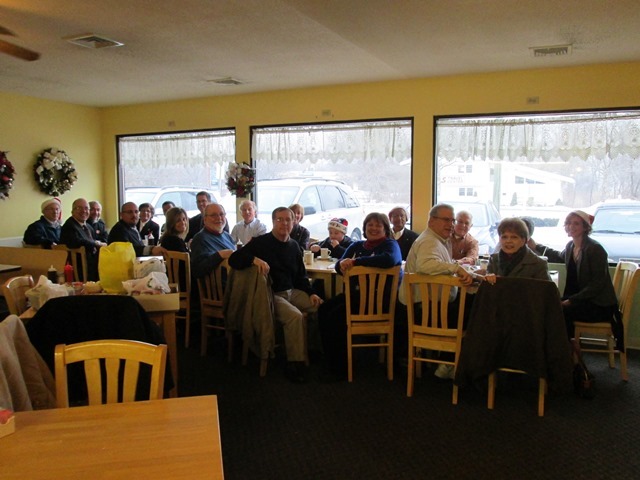 Members of the Kensington-Berlin Sunrise spread good cheer at their annual Holiday Breakfast. Guests included DG Mike Barnett, PDG Eileen Rau, PDG Prasod Menon, DGN Don Chandler along with Honorary Members Dave Erwin & Fran Kennedy, Jack Valencis & Rielly Pavasaris. Major Dora Garcia and Lt. Emmnuael Echavarria also attended from the New Britain Salvation Army. Monetary donations for the New Britain Salvation Army as well as Angel gifts and non perishable food items were collected. Major Wilder Garcia thanked all for their generous donations. Merry Christmas & Happy Holidays to all!